The event in question was actually a little soiree set up by Sony Mobile, not only acting as the launch platform for the artist’s new album, but also for the company to reinforce the new Sony Xperia name. Not being ones to turn down an invitation, we tripped it up to the city to meet and greet our fellow journalists, as well as to see what delights Sony were laying out before the main event. Unfortunately, the possibility of getting some hands-on time with the latest Xperia devices (sola included) turned out to be unfruitful, all the same we thought you might like to see what the event had to offer. We can only hope that the next time we’re rubbing shoulders with Sony Mobile representatives, it’s during the launch of a new device. 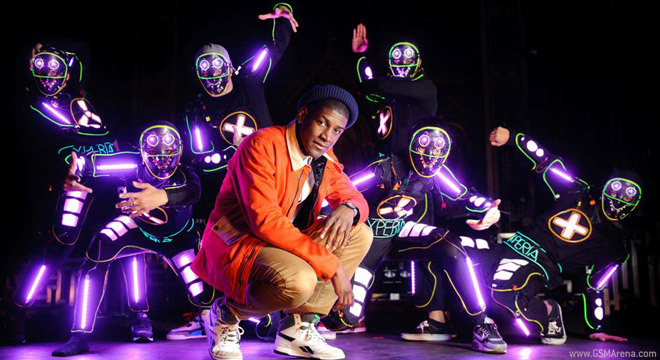 In the midst of the main event, the iLuminate dance group took to the stage dressed in full Android/Xperia-inspired neon-lined suits, check them out in the videos below along with the headliner himself in there somewhere too. Although this time around we didn’t see any new devices up close, we’ve still been spending our time wisely with the ones we already have in our possession. If you’re yet to read it, why not check out our full review of the new Sony Xperia S here.